June 17, 2014 By Allyson 2 Comments This post may contain affiliate links. Read my disclosure policy. When it comes to weeknight dinners, I will be the first to admit that sometimes there just isn’t enough time to cook! Between working 10+ hour days, playing with our son, blogging, and then cooking, and cleaning, I don’t have time for anything! I usually plan a go-to meal once or twice a week; something that is quick and easy and everyone likes. 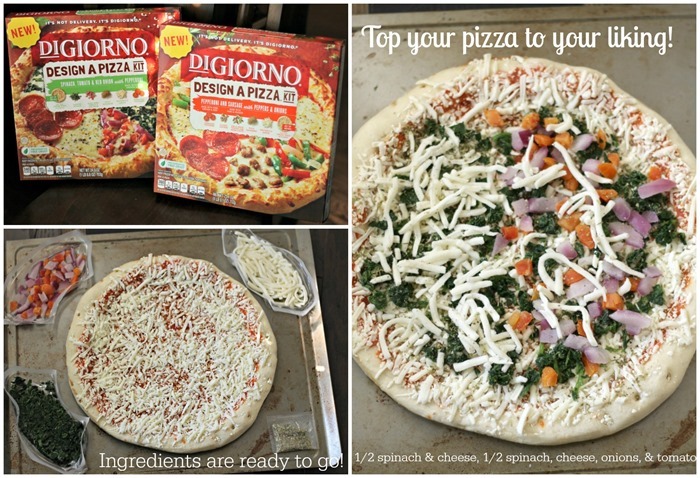 Recently I head about DIGIORNO® Design A Pizza™ Kit (it’s not delivery, it’s Digiorno! ), and I was intrigued to try it. Why? Because it comes with several toppings, and you can pick what you want to put on it! 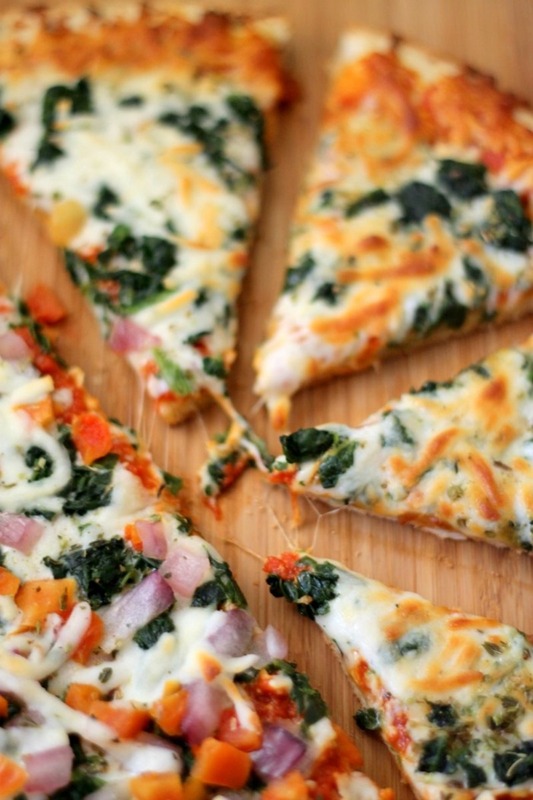 My picky son loves plain cheese pizza (and I will admit sometimes I do too), and my husband loves loading up with veggies. I checked out the different topping varieties they offer, and there is definitely something for everyone…. They have 3 combinations: Pepperoni & Sausage with Peppers; Chicken, Green Peppers and Red Onion; or Spinach, Tomato and Red Onion with Pepperoni. 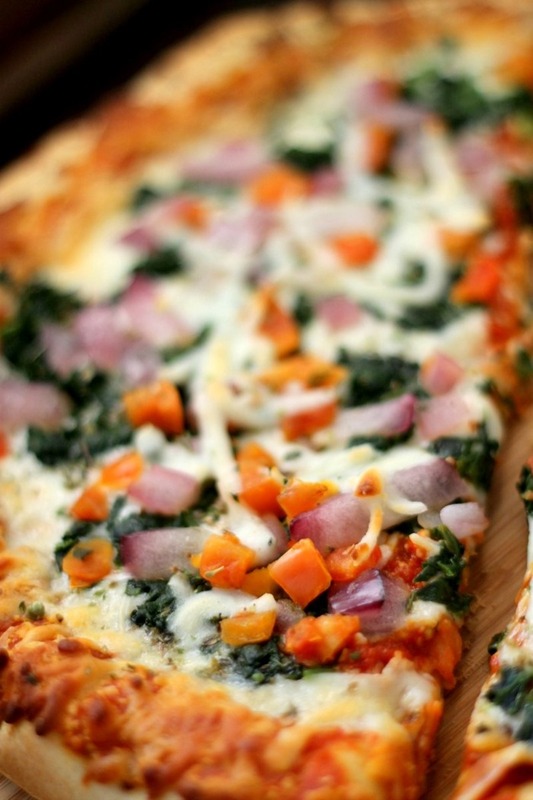 Again, the thing I love about this is that you can opt to use all of the ingredients, or only a couple- you can top half the pizza, only one slice, or whatever you want! It is seriously perfect for families! 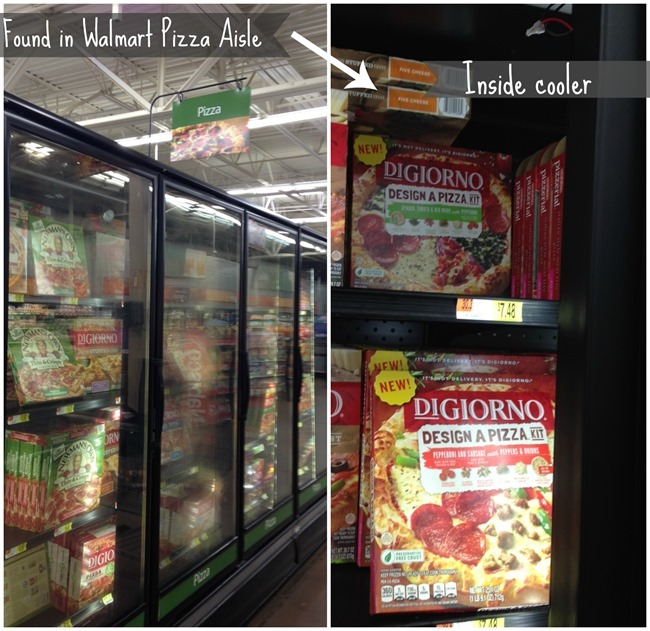 I headed out to Walmart to pick up a couple, and they were easy to find in the frozen pizza section. I chose the Pepperoni & Sausage with Peppers and Onions, and the Spinach, Tomato and Red Onion with Pepperoni. When I got home, I popped them in the freezer and added them to our weekly menu plan for the following week. Boy was I happy once Monday came along, because I did not want to ‘cook’. We took out the pizza and got to topping it! We opted to do half spinach and cheese, and then spinach, tomatoes, onions, and cheese on the other side. After about 14 minutes the pizza was baked to perfection and ready to eat! I whipped up a quick salad to serve on the side as well. I love when the cheese gets browned and a bit crispy! Both topping combos turned out fab, and between the 3 of us we nearly ate the whole pizza! It was the perfect weeknight meal! 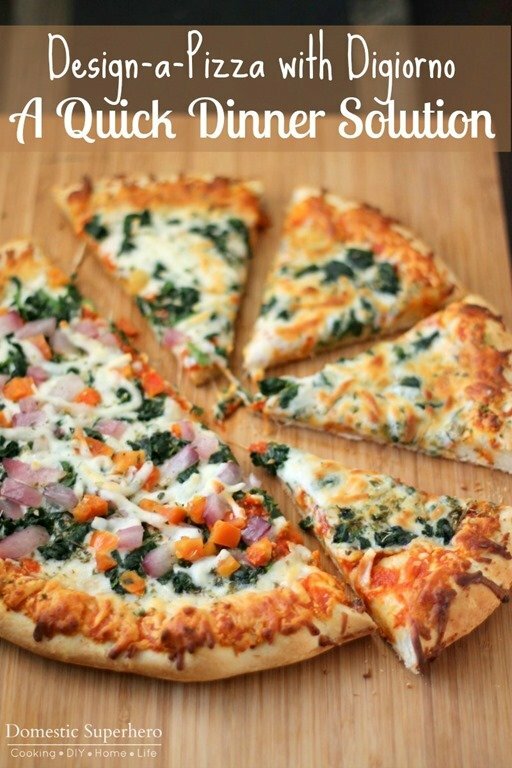 What are your go-to quick dinner solutions for busy nights? If you haven’t tried these Digiorno Design-a-pizza’s I highly suggest them! « Growing up with Orajel and the Orajel #Smilestones Contest!